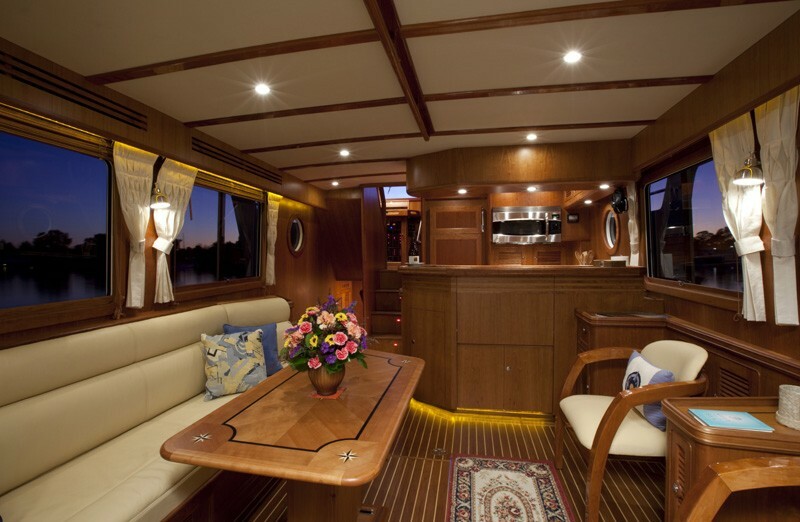 The Selene 47 is a larger sister to the ground-breaking Selene 43. 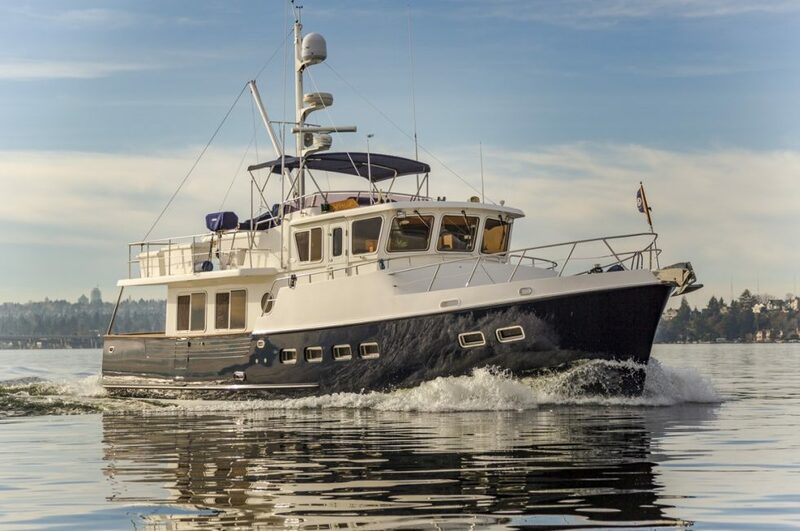 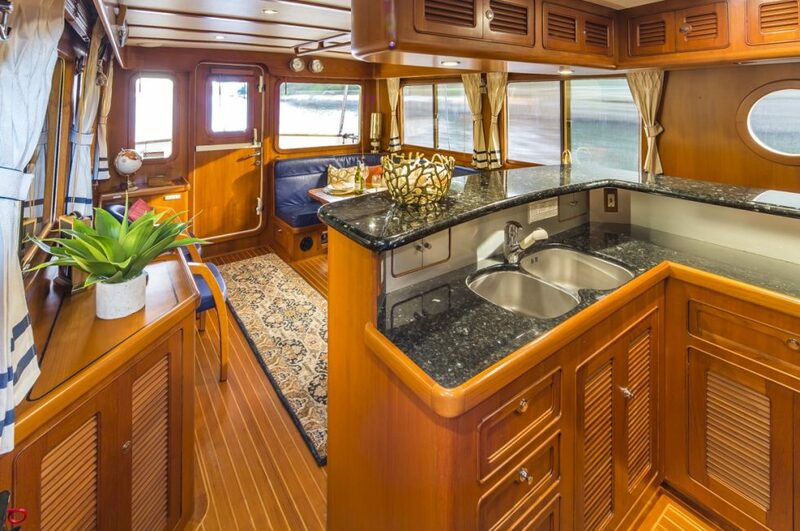 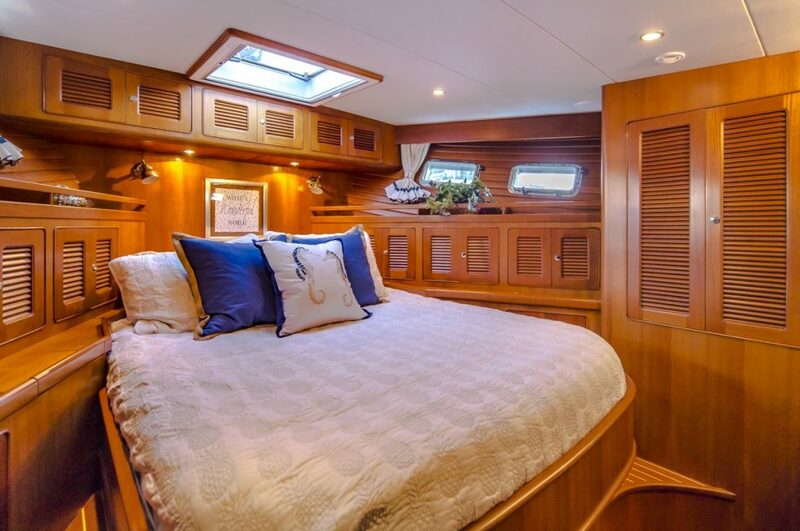 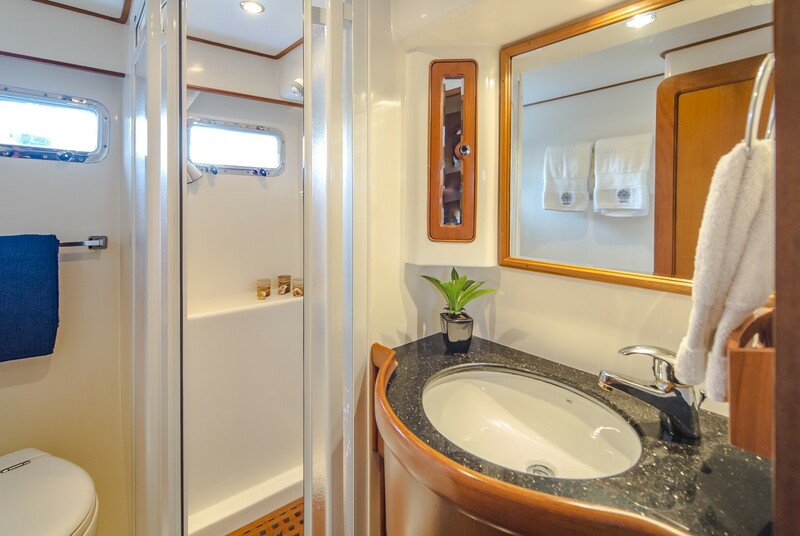 The Selene 47 enjoys the many benefits of the larger design including a roomier salon, more height in the engine room, a commissary, and lazarette. 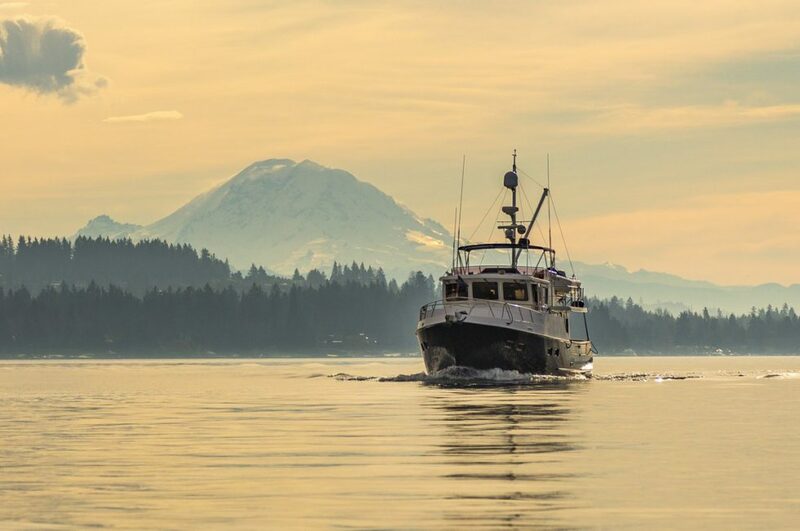 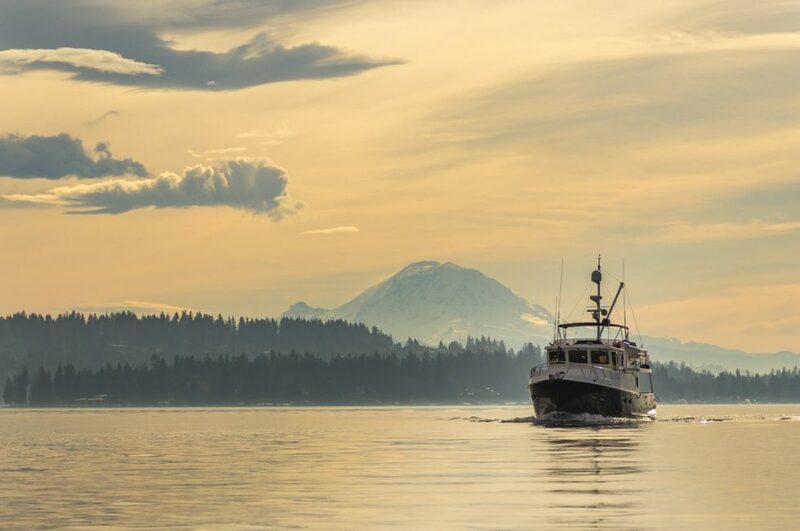 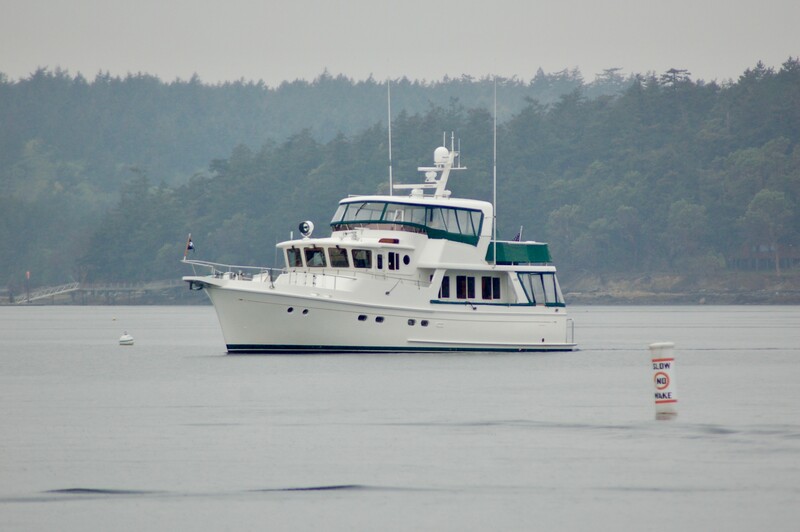 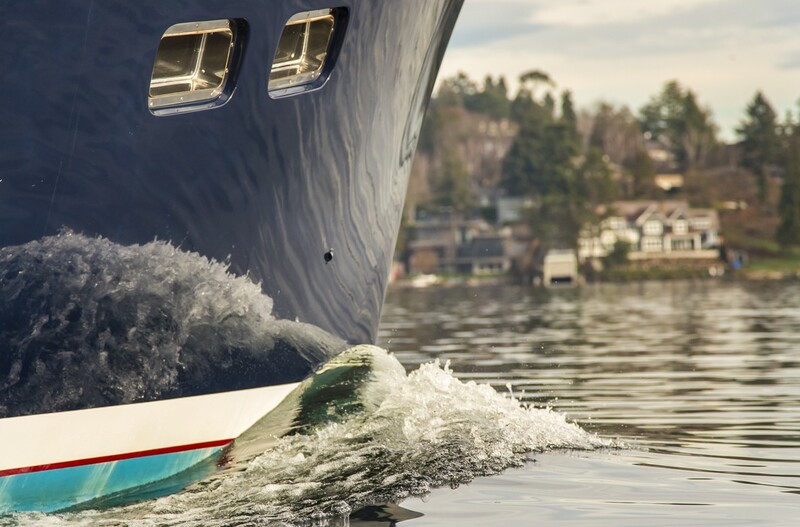 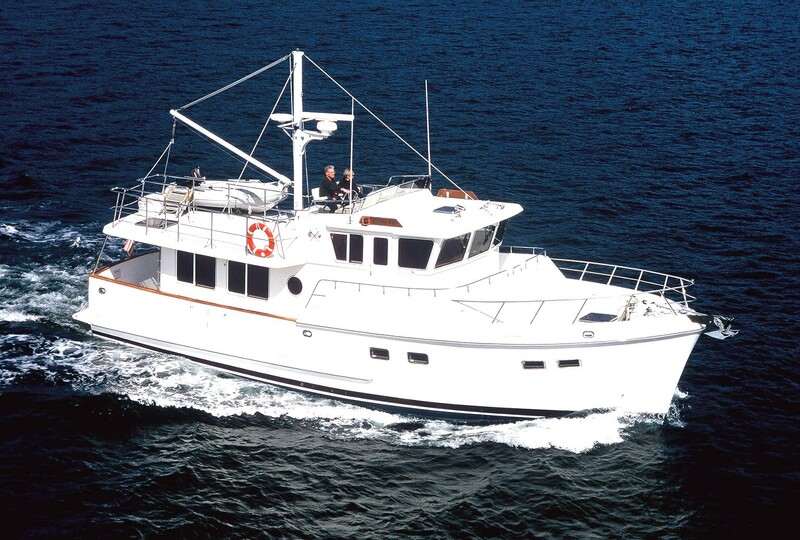 The Cruiser Stern™ extended waterline also gives the yacht a 9 knot cruising speed with excellent fuel economy. 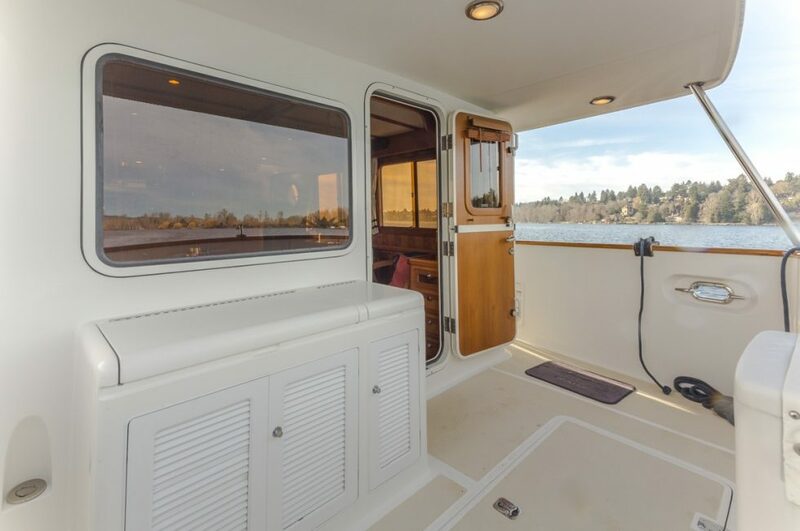 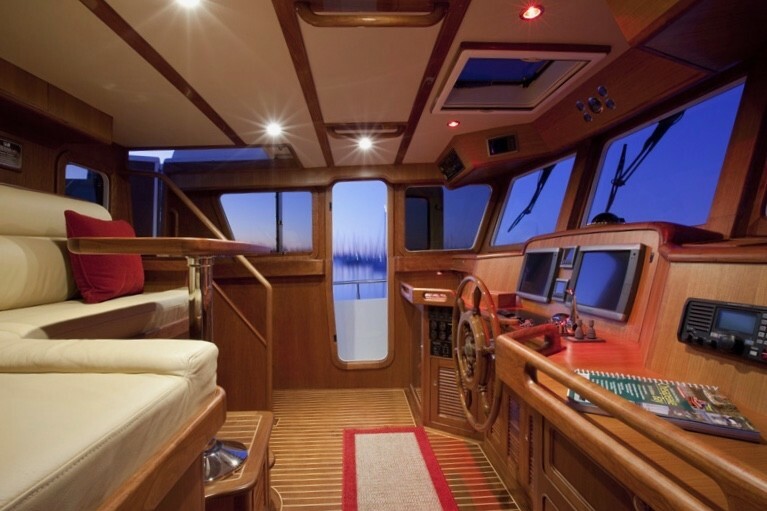 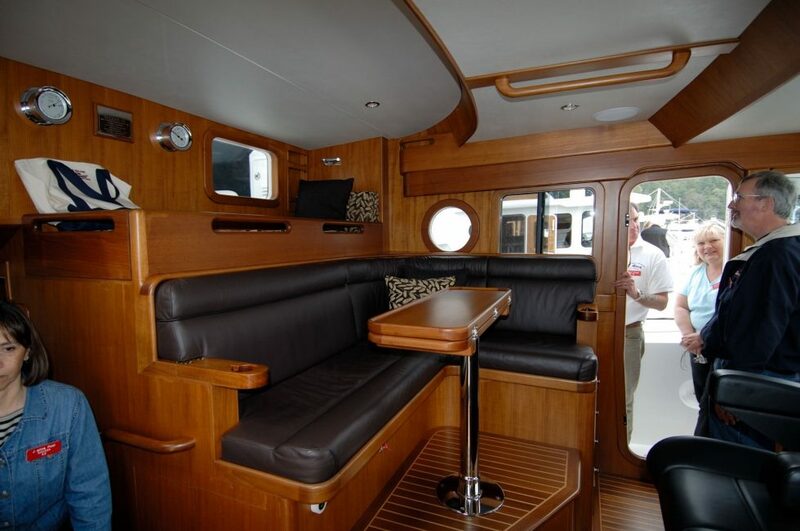 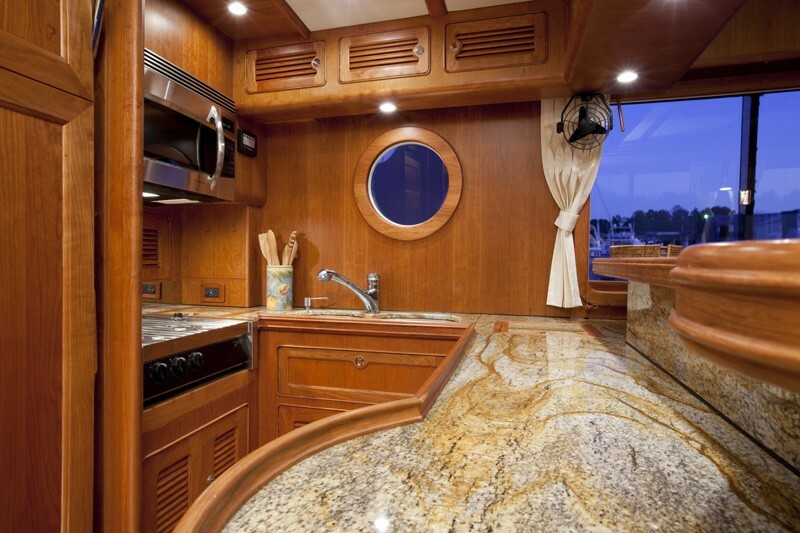 The galley is offset to starboard, as is the settee in the pilothouse. 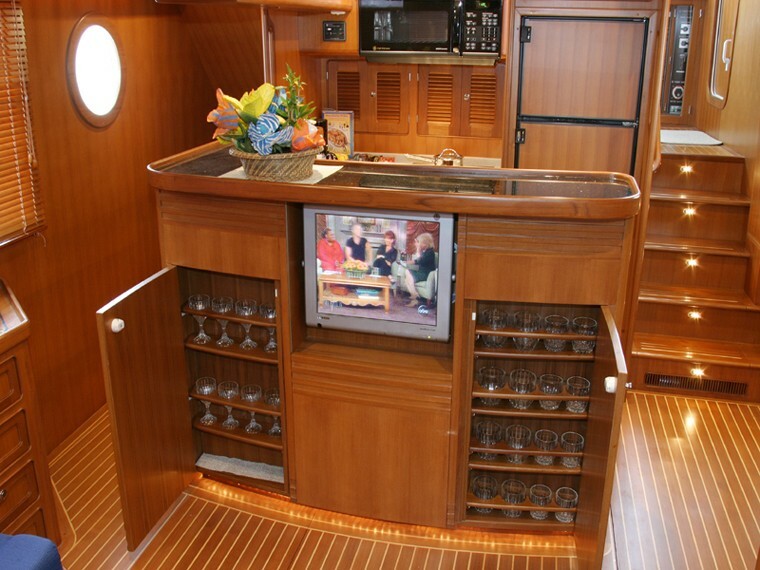 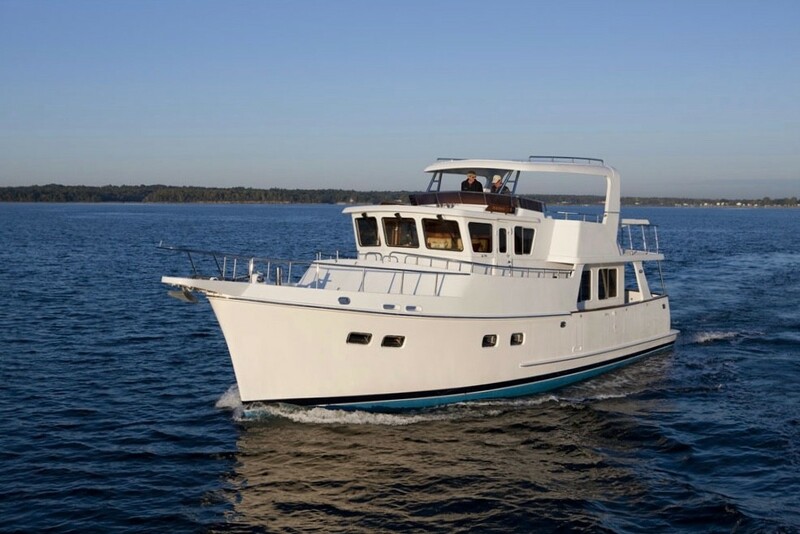 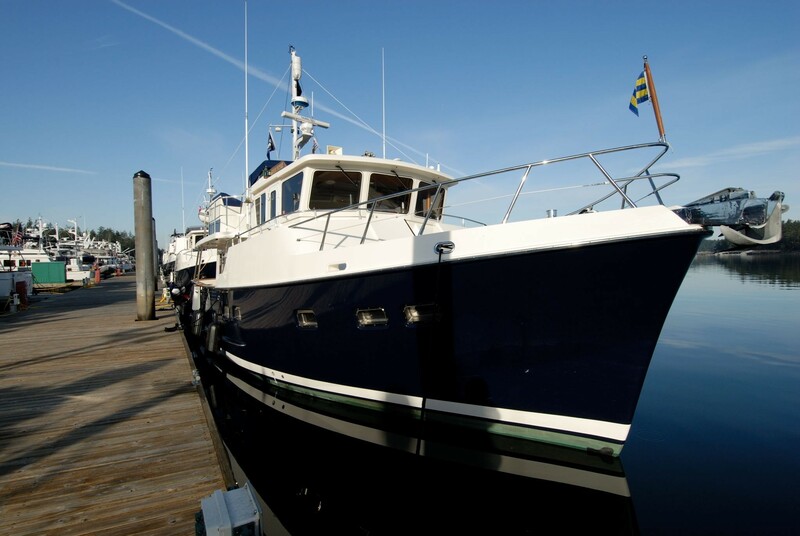 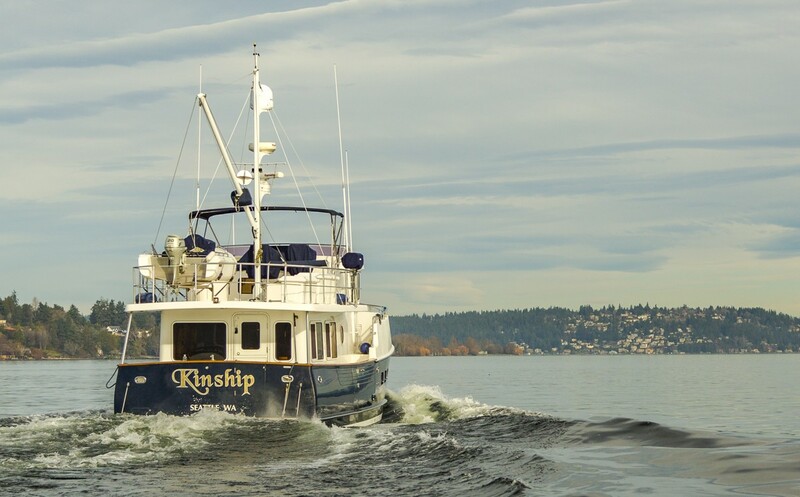 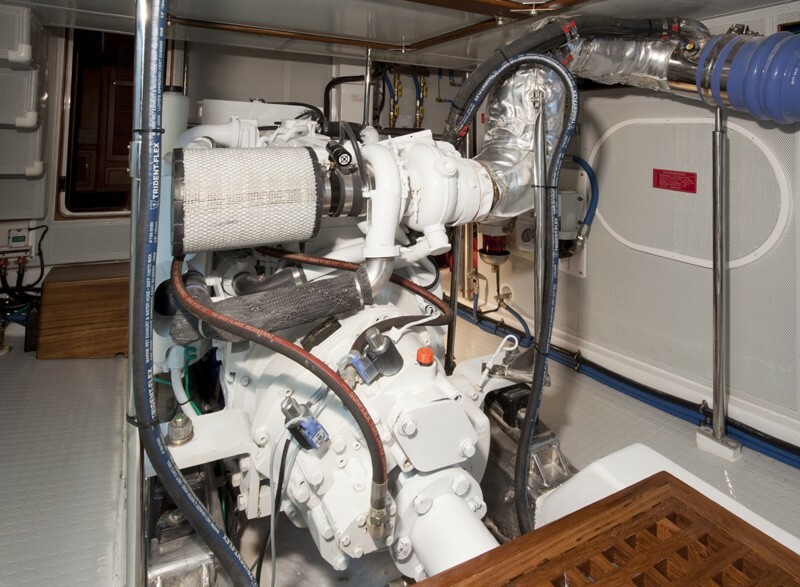 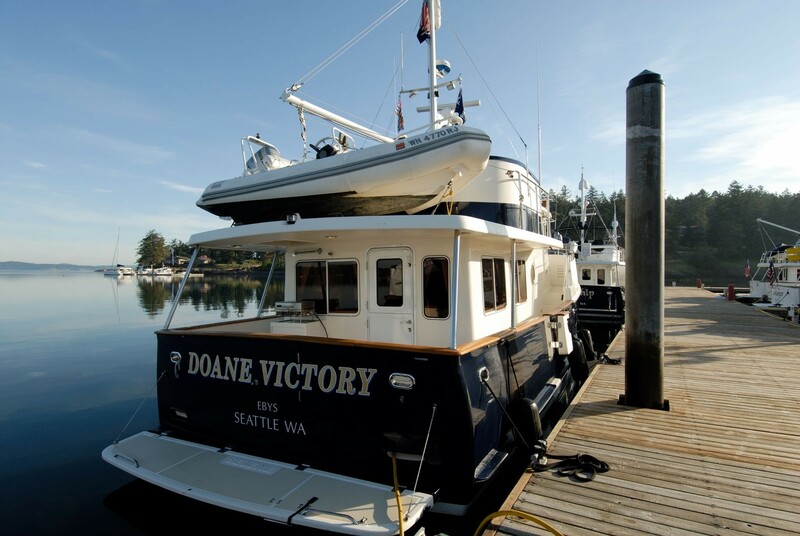 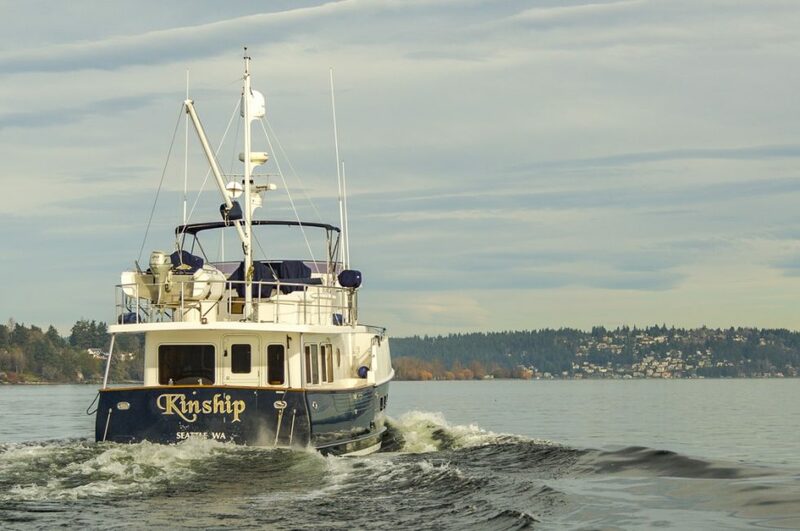 Both changes create a much roomier feel in the salon and pilothouse respectively. 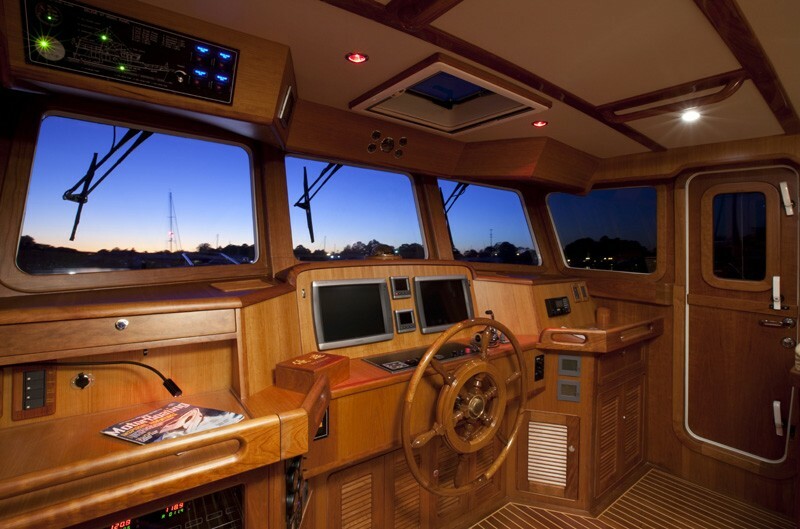 A small helm chair can be installed at the lower helm. 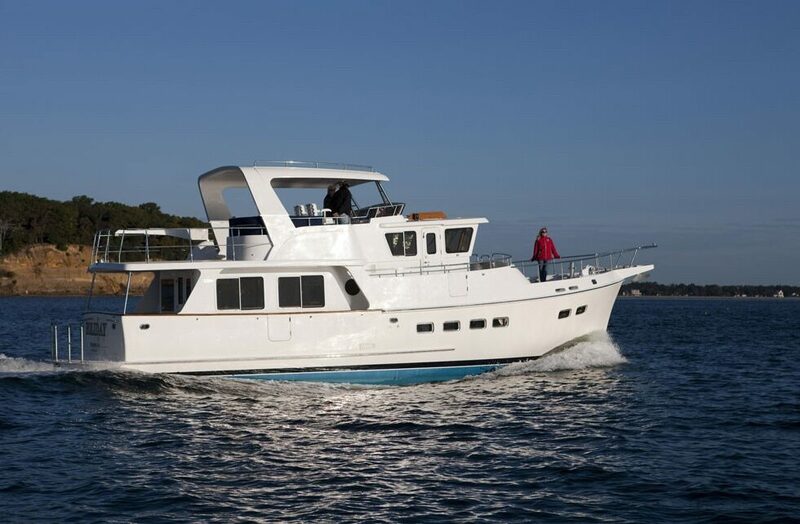 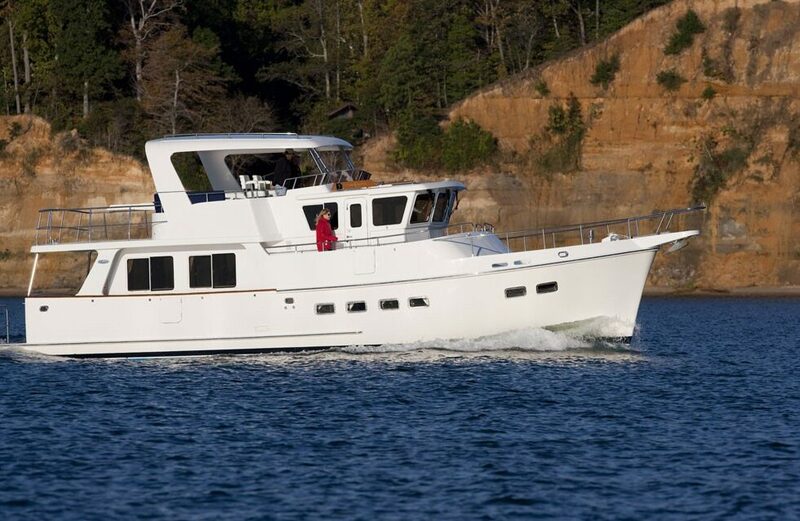 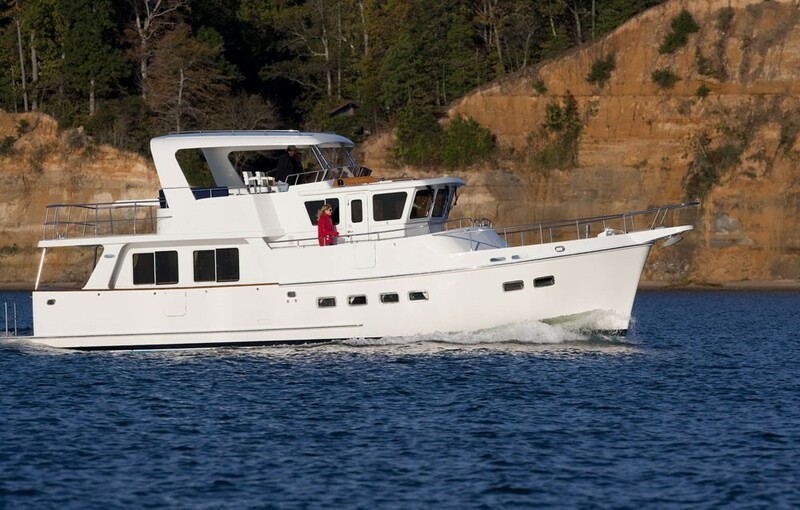 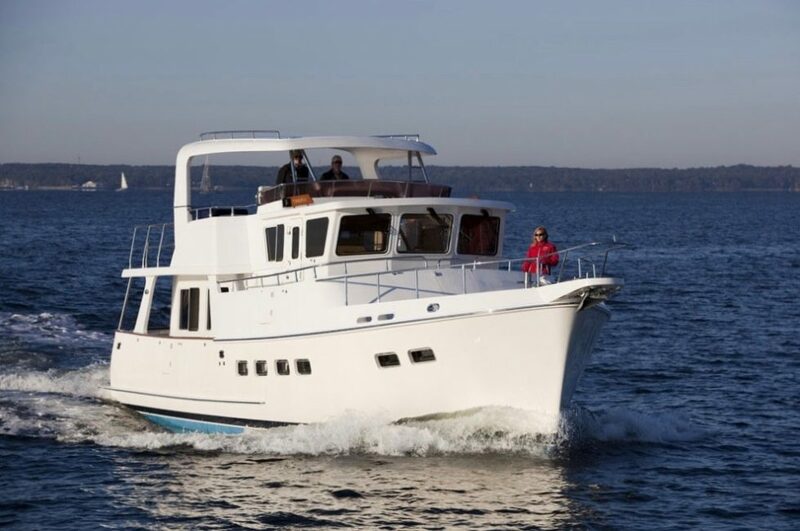 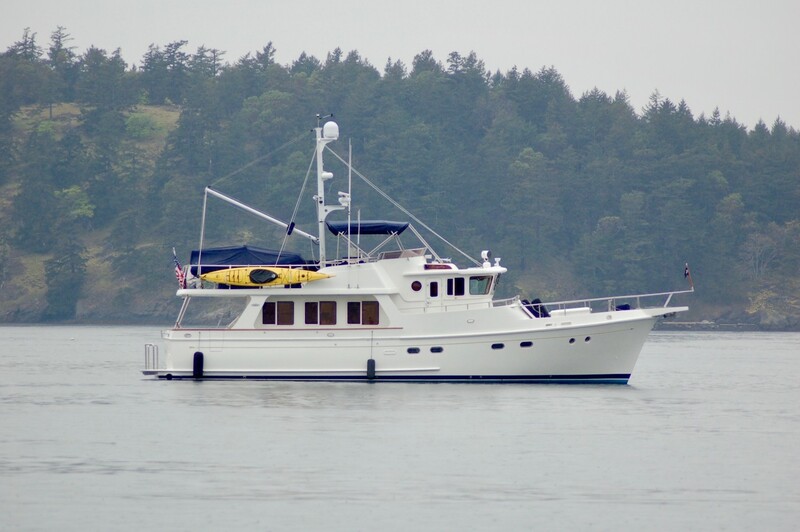 The Selene 47 was designed with the long-range cruising couple in mind. 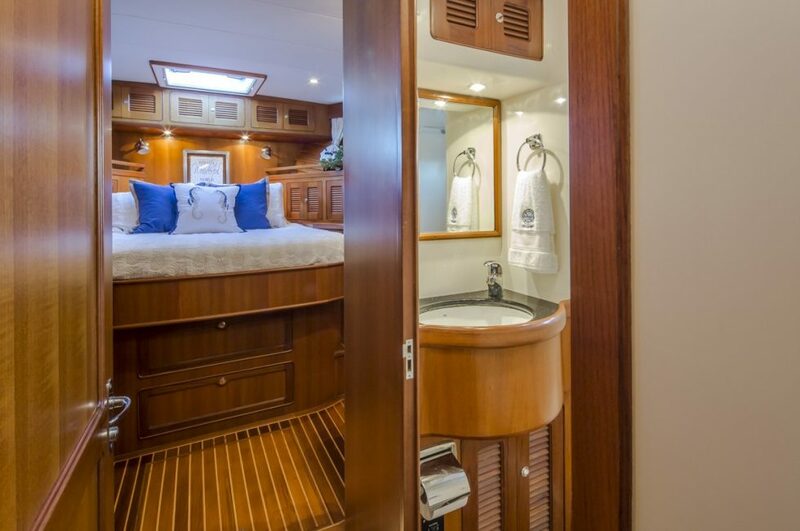 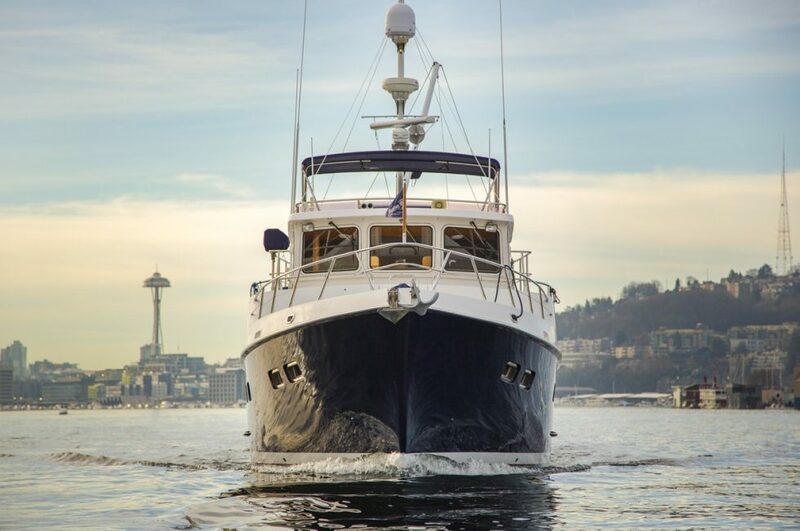 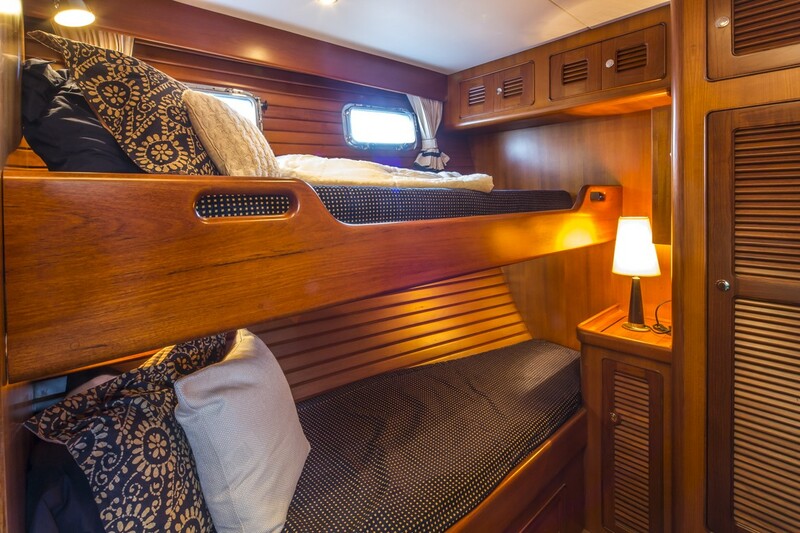 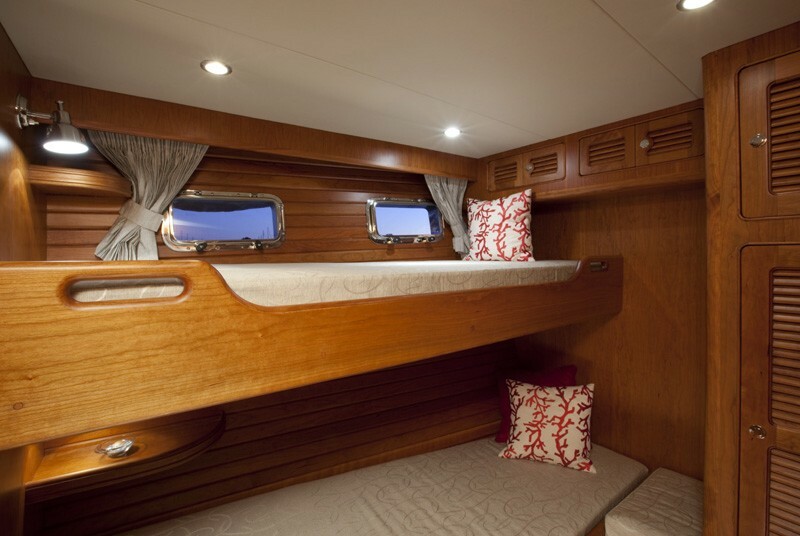 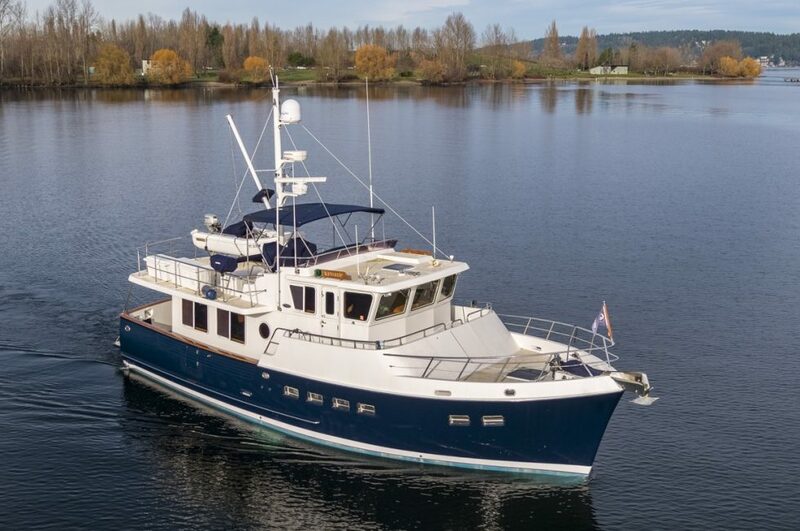 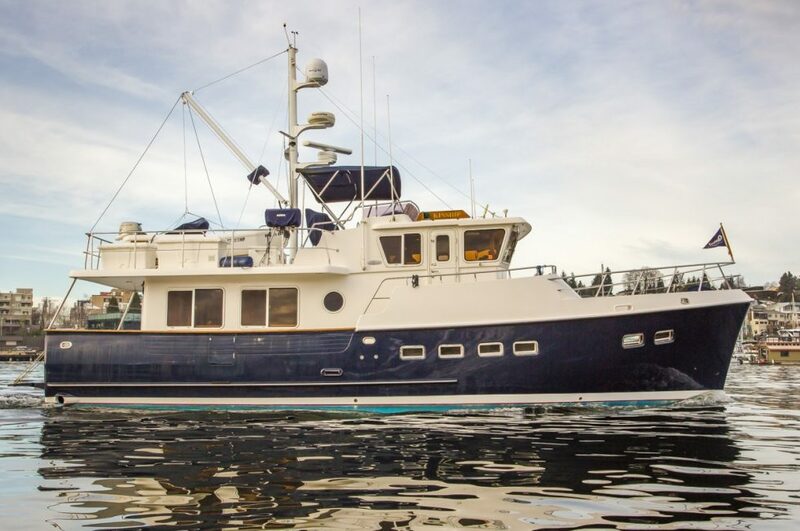 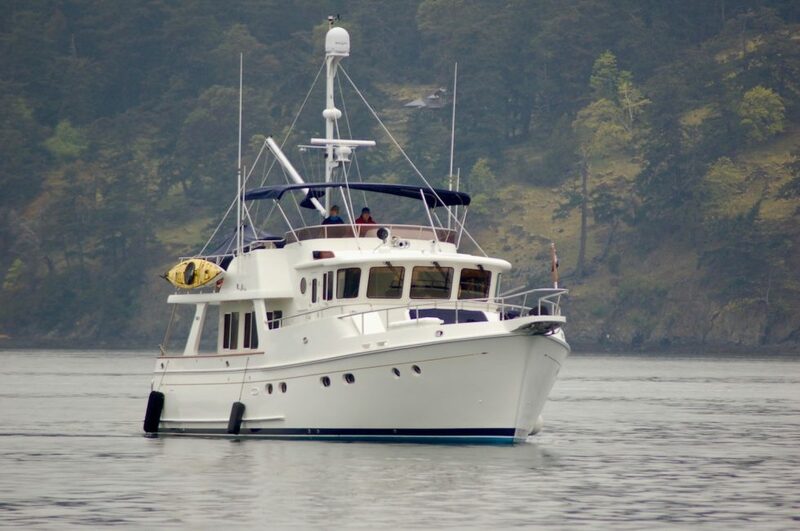 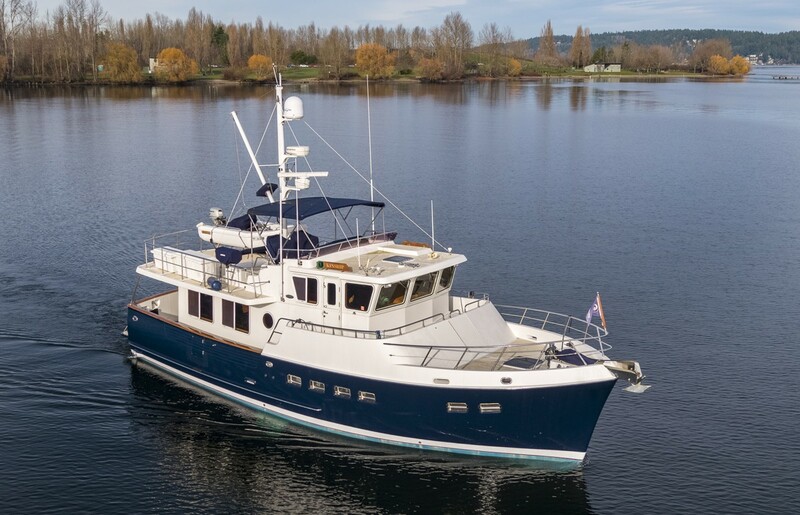 With its two staterooms and two heads, the yacht is also a good family cruiser. 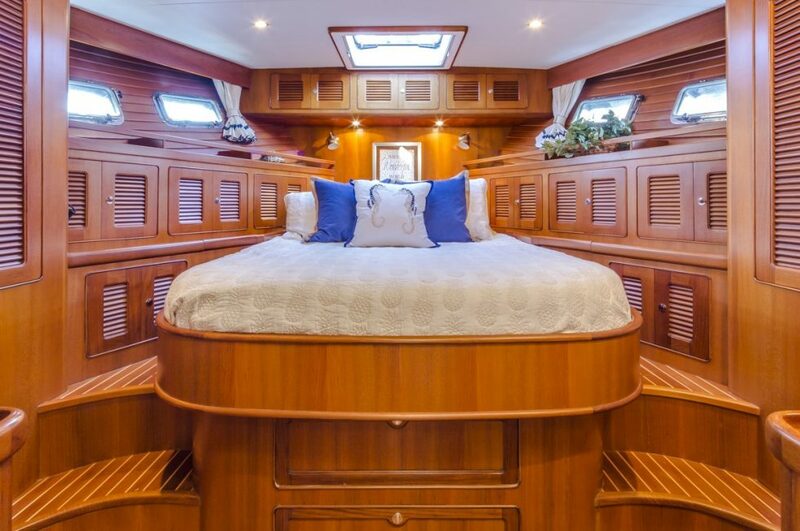 The stability of the Selene 47 is evident even in a choppy sea. 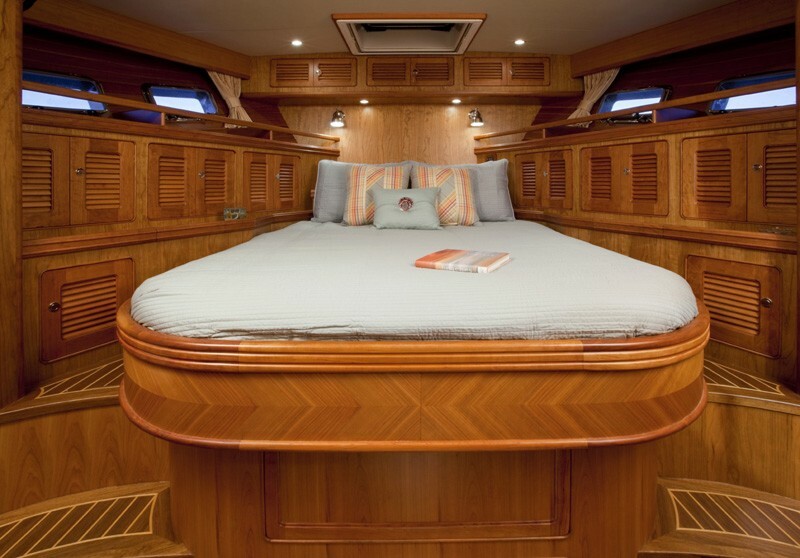 With a range of not less than 2,000NM, the yacht is capable of ocean passages like any other Selene.